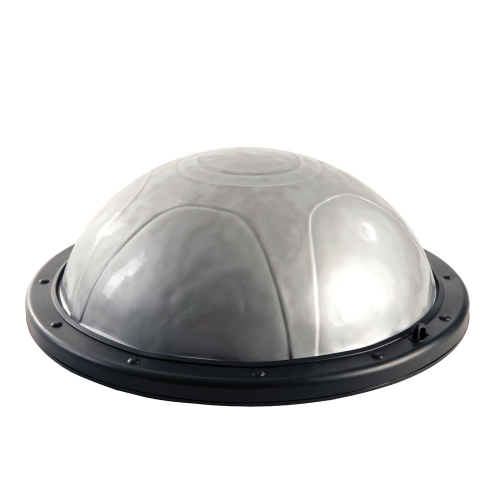 Improved design for 2013 features a complete TPR anti-slip base to replace the rubber feetand a 5cm reduction in Dome height , which makes the Air Dome Pro II much better to use as a wobble board and for all exercises performed with the Dome to the floor. Includes: eyelets for clipping on resistance tubes and an 8" hand pump to inflate the dome. Height: 21cm (6.5") when fully inflated. Base diameter 59cm Max user weight 140Kg (c. 300lb).